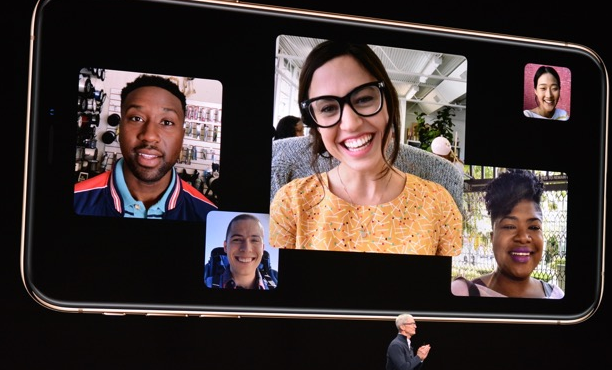 Group FaceTime was introduced by iOS 12 which is Apple’s biggest update to iPhones and iPads that arrived in 2018. This is a staple feature of the iOS operating system and it makes it easier for people to communicate with their friends and family members. Unfortunately, it looks like Group FaceTime was bugged all along and the feature could be “tricked” by hackers in order to eavesdrop and even open the camera of unsuspecting iPhone users. Without going into too much detail because of obvious reasons, Group FaceTime can be tricked in order to “fool” an iPhone to believe that the user is in a Group FaceTime and the microphone will automatically be turned on. To make things even worse, if the iPhone user presses on the volume up or down button, the camera will turn on as well. As you can probably tell, this is a serious privacy issue for all iPhone and iPad users so Apple didn’t have any other choice than to disable Group FaceTime. “We’re aware of this issue and we have identified a fix that will be released in a software update later this week,” said an Apple spokesperson. Therefore, Group FaceTime is not going to be available for the upcoming days. However, it’s better to not turn on this feature because you never who might be taking advantage of the privacy bug. We should also give praise to Apple for moving fast and disabling the feature. Not only that, but for also admitting that there is a serious issue with Group FaceTime because most companies run away from taking responsibility when it comes to problems such as this one. From the looks of it, all iPhone and iPad users need to keep their eyes peeled at their notification panel because a new update should arrive any moment now. It will be a high priority update because it introduces a fix for this Group FaceTime privacy issue.